Researchers in Japan say they may be one step closer to solving a mystery at the core of the Earth. It has long been established that approximately 85 percent of the Earth's core is made of iron, while nickel makes up an additional 10 percent. Details of the final 5 percent—believed to be some amount of light elements—has, until now, eluded scientists. 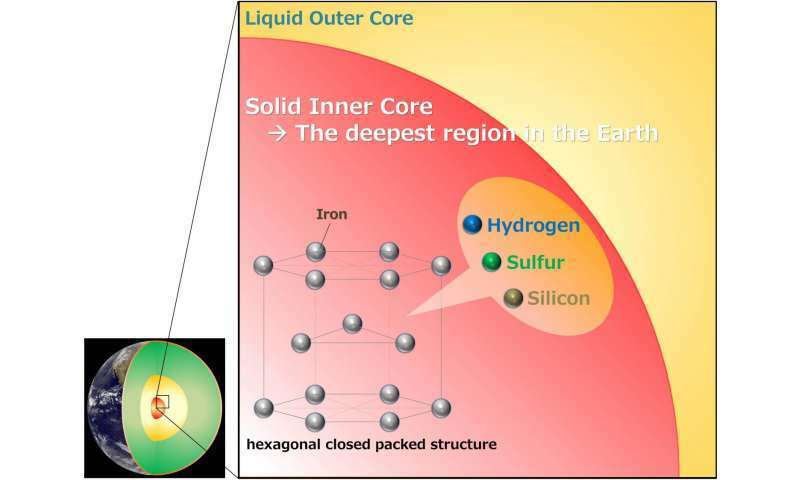 According to the Japanese research team, which includes Dr. Tatsuya Sakamaki and Prof. Eiji Ohtani from Tohoku University's Graduate School of Science, new experiments show that possible candidates for the light elements are hydrogen, silicon and sulfur. Experiments consisted of building model cores containing different materials and subjecting them to heat of up to 6,000 C° and pressure 3.6 million times that at the surface of the planet. The researchers then measured the density and sound velocity, and concluded that the physical properties of the iron-alloy with those three elements are consistent with seismological observations in the actual core. 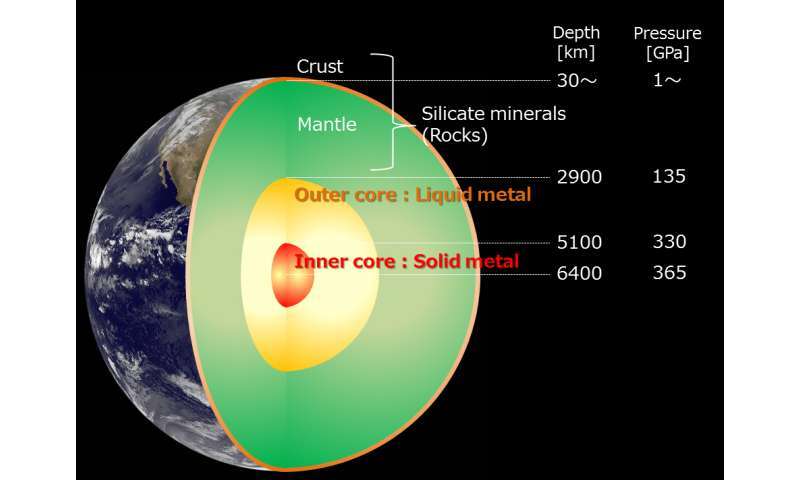 Earth has a liquid outer core (2900~5100 km in depth) and solid inner core (5100~6400 km in depth). The core is one of the most important "final frontiers" for scientists looking to understand the history of Earth, and the conditions during its formation 4.5 billion years ago. This study was initially published in Science Advances by the American Association for the Advancement of Science (AAAS) on Feb. 26, 2016. More recently, the team gave a presentation at a meeting of the American Geophysical Union in San Francisco in Dec. 2016.